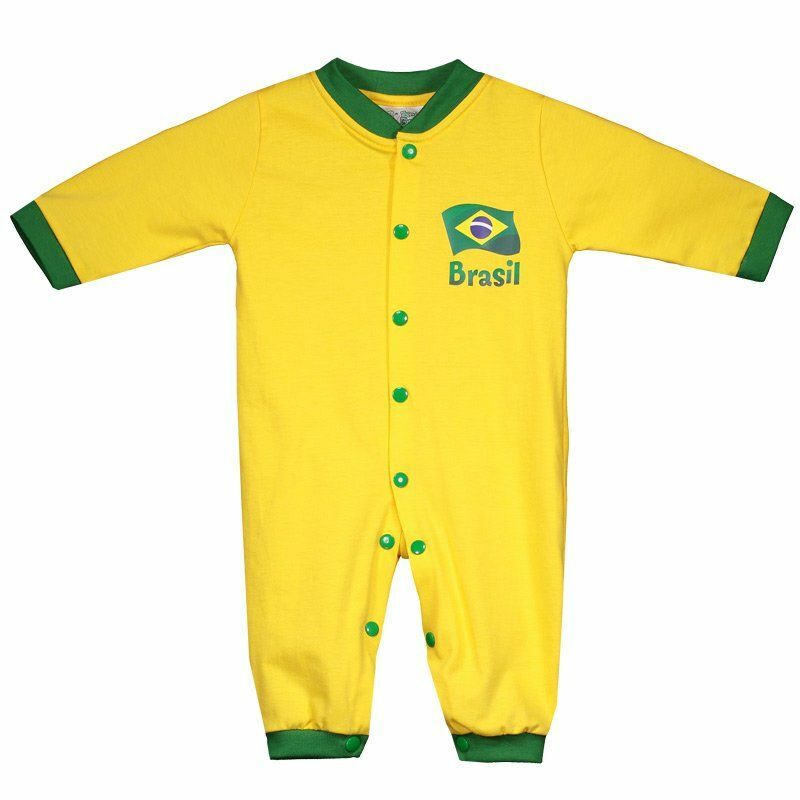 Wear your little fan with all the comfort and protection with the Brazilian Baby Romper. Made of natural cotton fiber, the piece offers soft and comfortable touch. Its design brings the color yellow as predominant with green cutouts. More info. 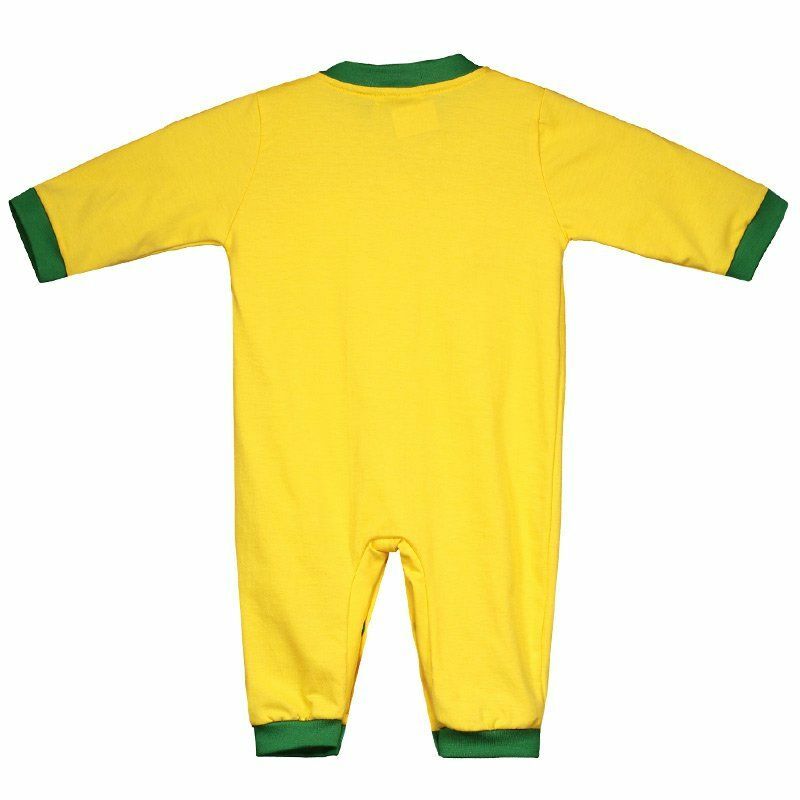 Wear your little fan with all the comfort and protection with the Brazilian Baby Romper. Made of natural cotton fiber, the piece offers soft and comfortable touch. Its design brings the color yellow as predominant with green cutouts, as in the cuff of the sleeves, bar and collar, which in turn, is crew neck. The opening is made with buttons on the front and legs, ensuring more practical day to day. Finally, it presents the badge of the team fixed to the left side of the chest, complementing the details.